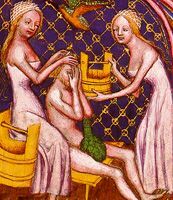 In my plans for 2017, one of the big projects was a burgundian gown. That means medieval, 15th century to be exact, and a totally new period for me. And, of course, a new period means new underwear. 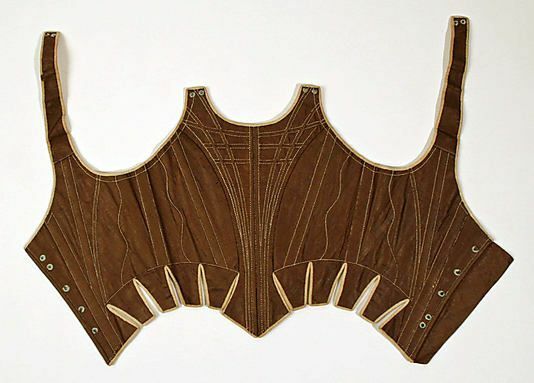 Medieval underwear is relatively simple, especially compared to the 1870’s bustle period I did last time. Although not a lot has survived from the era, we have enough visual material to get an idea. The general consensus seems to be that a smock/shift of linnen is worn close to the skin. Linnen could be easily washed and bleached, and was therefore suitable as first layer. You see both sheer and solid smocks, with straps or long sleeves. 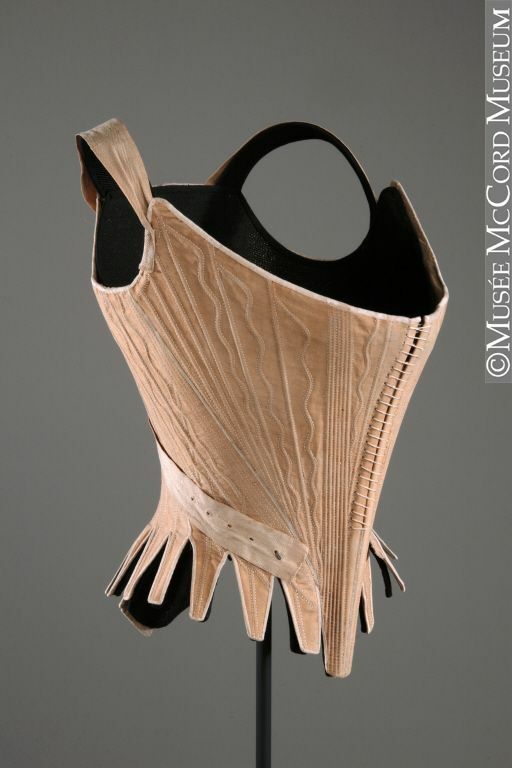 We know very little about construction, the most common guess is that these are similar to smocks in later centuries. On top of the smock you normally see a kirtle, a basic dress. Kirtles come in various types, short/long sleeves, lacing front or sides, with/without waistseam. They are often worn as under-dress, but also on their own for the lower classes/work wear. 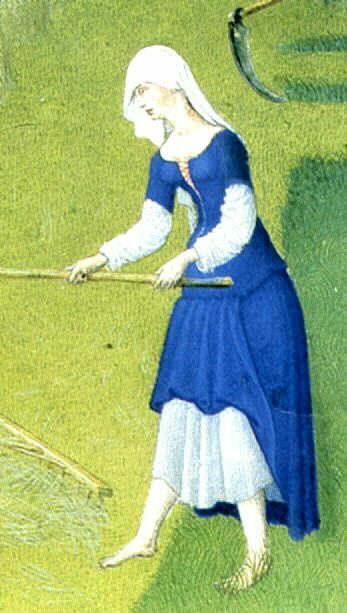 A burgundian gown would always have at least one kirtle underneath. Evidence also exists that more than one kirtle was worn at times. Kirtles also often seem to serve as supportive garments. 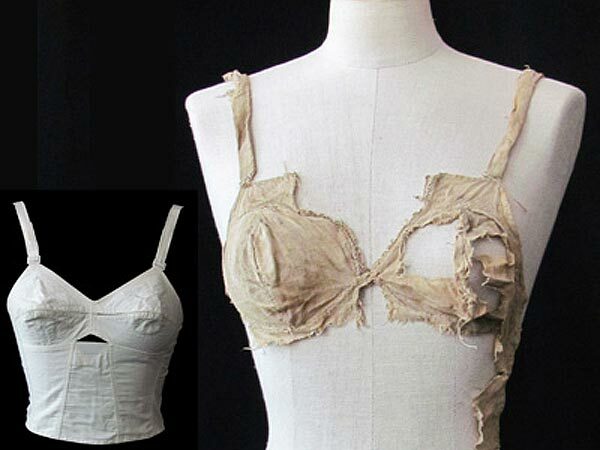 One medieval bra-like garment has survived, so these did exist, but they seem to’ve been more rare. 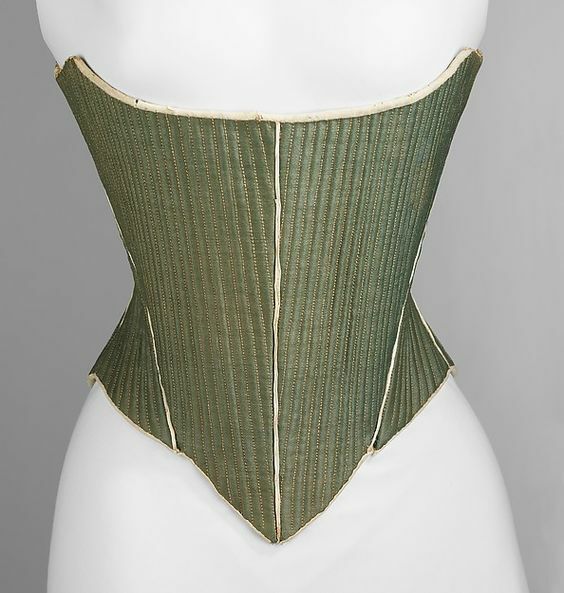 Generally, the kirtle is cut in such a way that it sits very flush to the body, especially under the bust. That provides the necessary lift/comfort. So, before I start on my burgundian gown I’m making both a linnen smock and linnen kirtle. The kirtle is in progress, the smock is done! I’ve chosen to make a long-sleeved smock, as you often see hints of smock sleeves beneath kirtles with short sleeves. I also want quite a low neckline, so I can wear it underneath any type of kirtle neckline. The pattern I went with is quite simple, identical front & back. 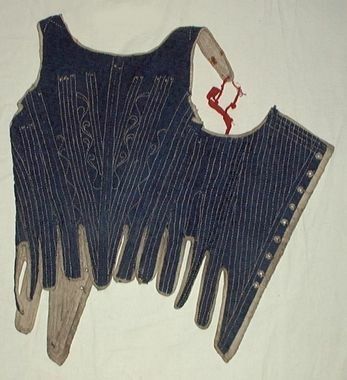 A basic flared bodice block, with straight sleeves with gusset. Main inspiration came from the Medieval Tailor’s assistant book, although I kept the bodice straight down to the waist and flared from there. It’s made of plain linen. Basic construction was done by machine to save on time, because no one is ever going to see the main construction seams on my smock. Finishing was all done by hand. In the end, I might have cut the neckline a bit too deep and it tends to fall off my shoulders when worn on it’s own. I suspect wearing a tight-fitting kirtle on top will fix that though, so I’m okay with it. This is the only construction image I took… Finishing the neckline in a very narrow seam, because I’d cut it a bit too deep. Holding out the sleeve, sowing the gusset and basic rectangle construction.